Through exploration of new energy-efficient next-generation materials and innovative processes, the Manufacturing Systems Research Group has introduced a variety of technologies, including strong lightweight materials for more efficient transportation and other energy applications. Priorities include additive manufacturing or 3D printing, carbon fiber and composites, materials for harsh conditions, rare-earth metals, sensors and controls, modeling and data analysis for manufacturing, and roll-to-roll processing. 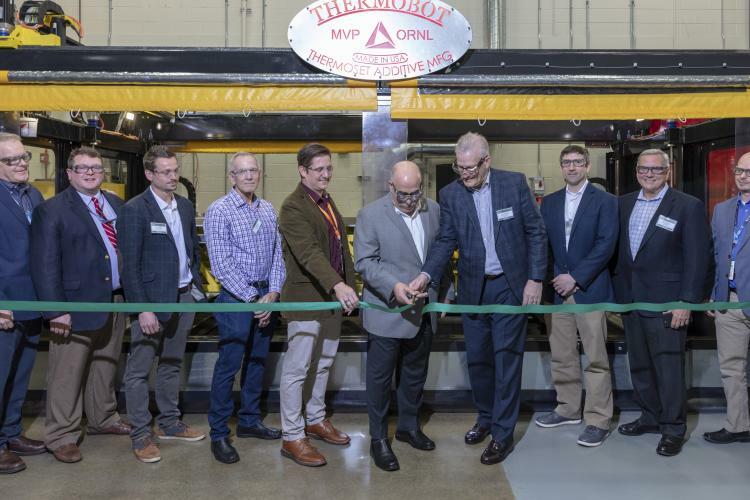 The Manufacturing Systems Research Group collaborates with equipment manufacturers and end users to advance state-of-the-art technologies and revolutionize the way products are designed and built using additive manufacturing (AM) technology. Access to ORNL’s expertise and world leading capabilities in material synthesis, characterization, and process technology is available through the MDF Technical Collaborations Program which is designed to assist manufacturing industries to implement new manufacturing concepts and methods.